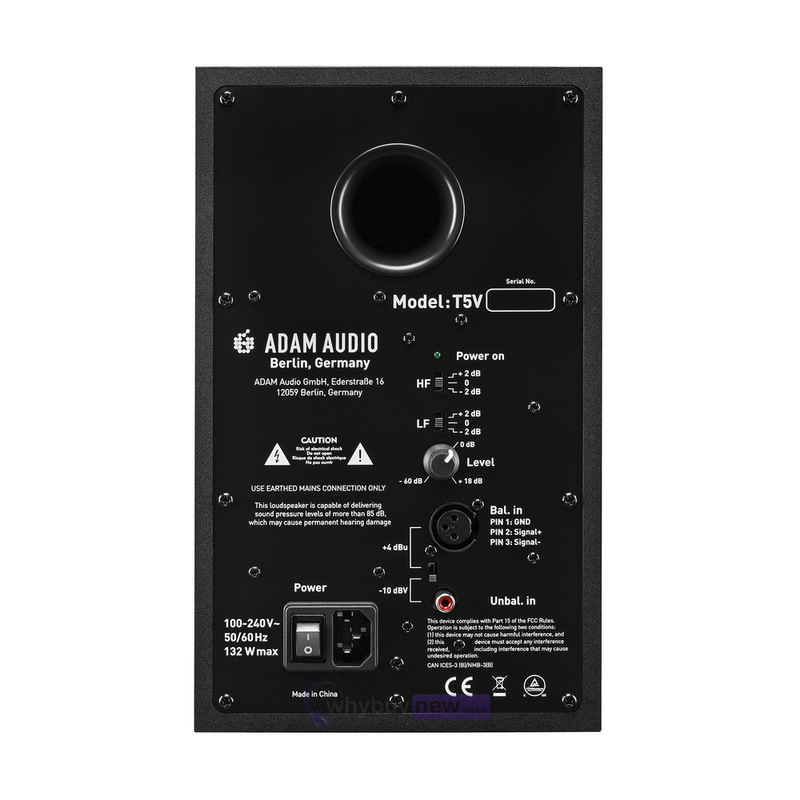 The Adam Audio T5V is a professional 5" studio DJ monitor speaker that offers an affordable monitor solution with very high performance capabilities. 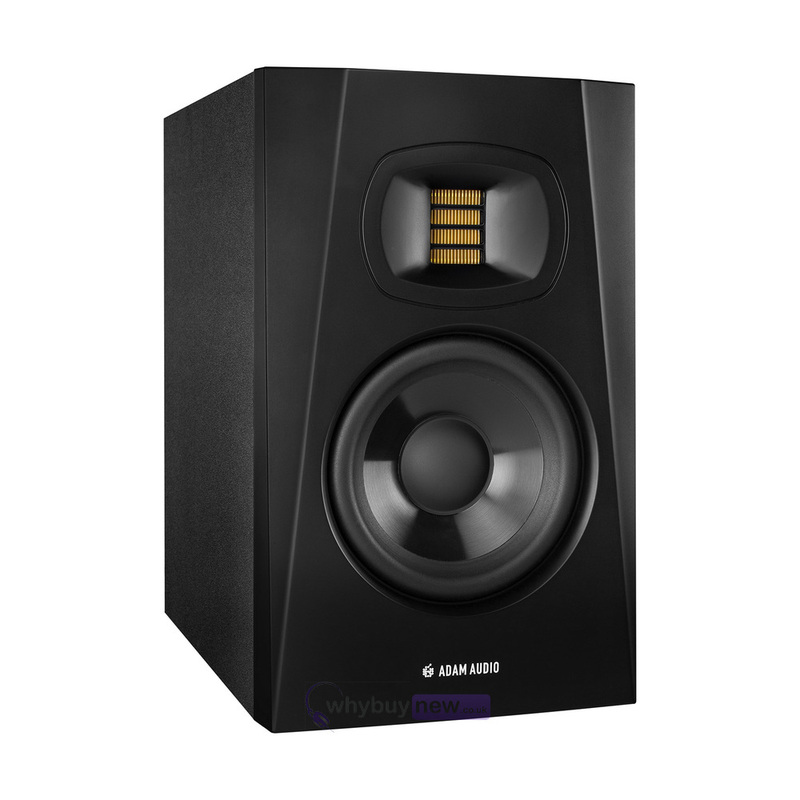 The Adam Audio T5V is part of the new T series monitor range from Adam Audio and include the well received innovative features from the S series monitor range. 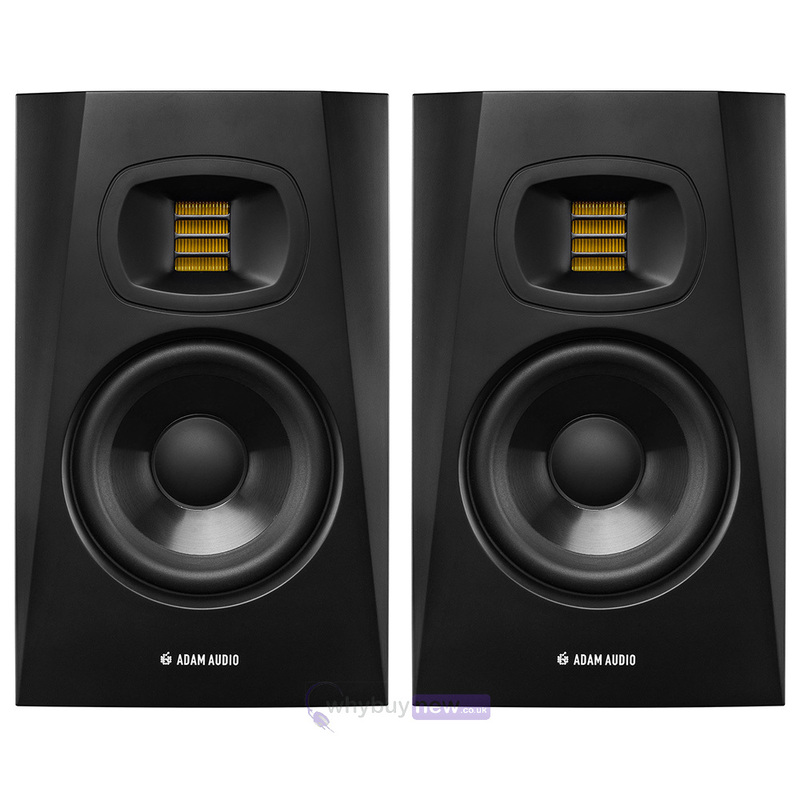 If you need more low bass performance these monitors are designed to be compatible with the Adam Sub7 and Sub8 subwoofers. 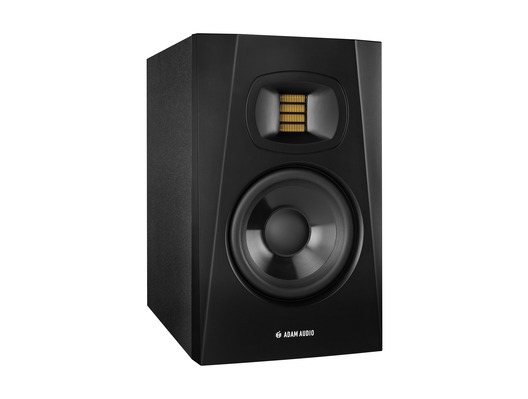 With its 5 woofer the bass-frequency response of the T5V extends to 45 Hz. 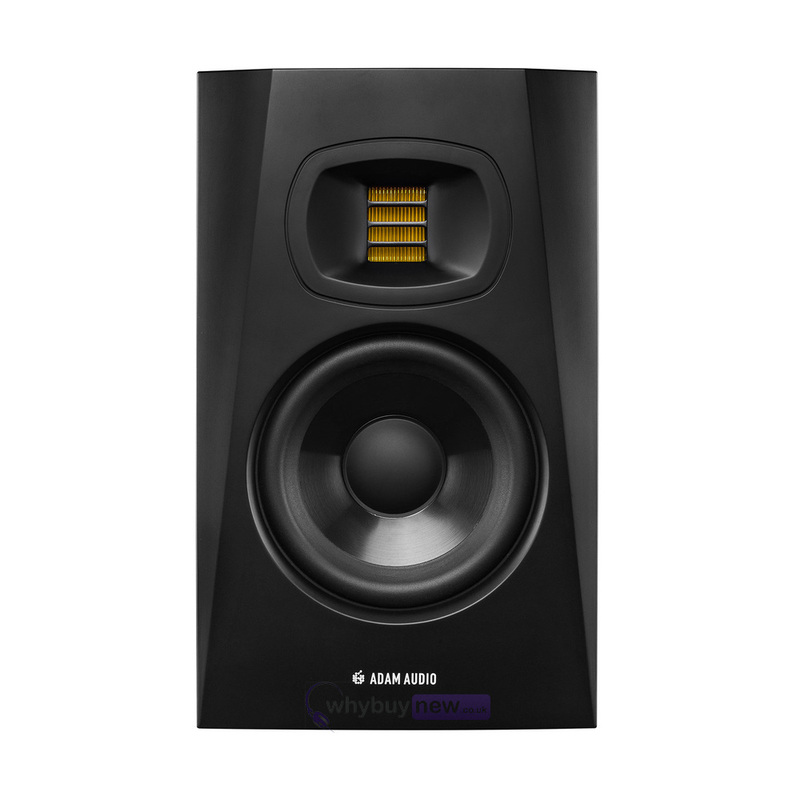 The new U-ART tweeter, a breakthrough solution for use in high-resolution recording and mixing on a budget, goes up to 25 kHz and is mated to a precision waveguide with the same dispersion-control attributes as the High Frequency Propagation (HPS) waveguide used in ADAM Audios flagship S Series monitors. The waveguides highly uniform dispersion of high frequencies provides an incredibly wide sweet spot that frees you from being glued to a rigid mix position while working.